We have some ski tips for you: One -- balance your weight on your outside ski when turning. Two -- find your edges. Three -- practice, practice, practice. 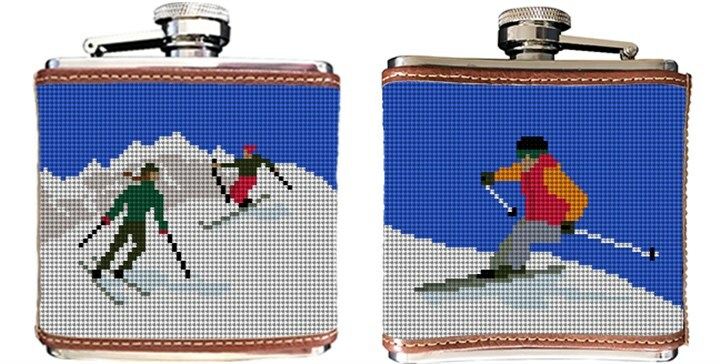 Four -- don't forget your Skiing needlepoint flask to warm you up after you've spent more time laying in the snow than actually skiing.